Grab yours today for only 99cents (for a limited time only)! 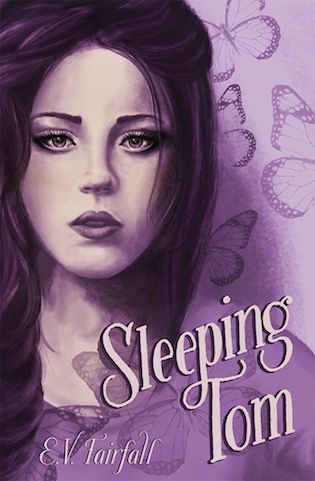 Stay tuned for Waking Gabriel‘s release in July! He was creeping her out. She wanted to run and hide from him, but instead she held her ground and, as casually as she could, leaned into the doorframe. “It’s like three in the morning,” she reminded him, attempting a frown to hide her anxiety. “What?” Caden asked, his voice once again making her unsure. A game? It sounded like something Sean would say. Caden shifted her weight, eyeing him warily. I can handle this. She let out a deep breath; if nothing else she could use this as an opportunity. Cleaning at three in the morning obviously hadn’t scored her enough Good Samaritan points. “Sure… We can play a game.” She wondered if her hesitation would make him angry, like she had when they had been in the car that afternoon. She looked around for a weapon, anything she could use to protect herself. As her eyes scanned the room each surface was bare, aside from the bulky old alarm clock on the nightstand. Caden’s hand shook. This didn’t feel right. “Okay,” She mumbled, attempting to seem unfazed, and she turned off the lights with a flick of her wrist. It took a few seconds for her eyes to readjust, and when they did she saw the boy leap back onto the bed, light and agile. She took an uneasy step back. Her chest constricted and her breath caught in her throat. Caden couldn’t deny being unsure of the situation, of this boy who somehow had to be the man she’d met earlier that day. His head moved from side to side, watching her as intently as she watched him. “What do you want to play?” he asked. “Oh, come on, think of something,” he said. The boy’s shoulders and head dropped. “So you don’t want to play,” he confirmed dejectedly. She watched as he turned around on the empty bed, to face the other wall. Caden’s little sister Reese always used guilt to get what she wanted. She hadn’t known a guy her own age could make her feel just as guilty, if not worse. “No, no, I want to play. I do.” As long as you stay on that side of the room. Caden moved farther into the room but stayed a good six feet away. “What game? What game?” He bounced on the bed in his sitting position. “Do you have any cards?” She clutched the blanket tighter around her, but tried to keep her voice light and casual. 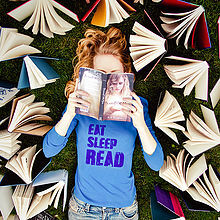 The hunger is encompassing, so she feeds the beast books. But the hunger never settles… so she writes. E.V. Fairfall has an itch that drives her to the world of story telling. With several published short stories, and soon several books (fingers crossed), she explores the topics of humanity and hardship. During the daylight hours, a book is always within reach. She spends her nights reading with her husband, surrounded by towers of tomes and three furry children curled in close. If she isn’t reading, she is browsing bookstores or hiking, but always awaiting her next adventure.